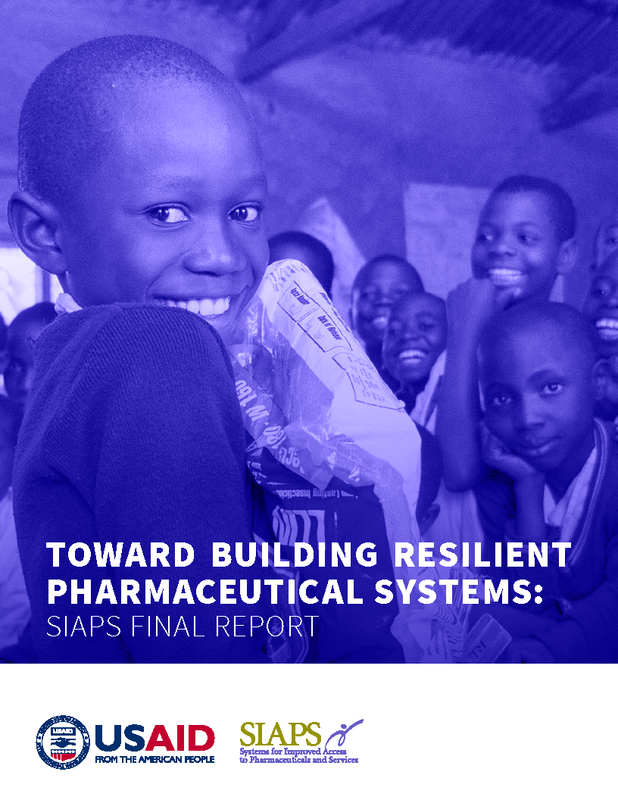 In 2012, when the US Agency for International Development (USAID) awarded the SIAPS Program, it tasked the program with developing a measurement framework and corresponding indicators for determining whether investments in pharmaceutical systems strengthening are contributing to the development of stronger, more sustainable pharmaceutical systems. At that time, there were no widely accepted definitions for a pharmaceutical system or pharmaceutical systems strengthening. Furthermore, there was no standardized approach for measuring progress toward stronger, more sustainable pharmaceutical systems. In 2014, SIAPS conducted a series of literature reviews and held a consultative meeting of SIAPS partners and experts in the field to propose definitions for a pharmaceutical system and pharmaceutical systems strengthening. Once these key parameters for measurement were identified, SIAPS arranged them within a framework for measurement to guide the selection of indicators and determine a basis to guide the measurement process. Once the framework was in place, an extensive review process of existing indicator-based assessment tools and manuals was undertaken to develop an indicator bank from which to select measures for the PSS Insight tool. Working with experts from Boston University School of Public Health, SIAPS selected key indicators that form the basis of a tool to measure progress in pharmaceutical systems strengthening, using defined indicator selection criteria. The resulting tool, called PSS Insight, is a web-based data management system comprising 117 indicators intended to measure progress in pharmaceutical systems strengthening, both across countries and over time.